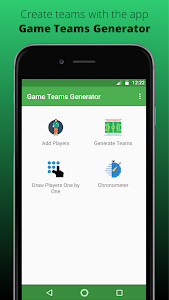 The Football Times Generator allows you to enter the names of the players so that the application divides them between teams, quickly and easily. You can enter the names of the players through your speech, speeding up the entry of the names in the application. 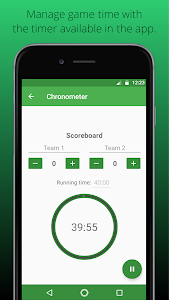 In addition, the Football Times Generator application has a Chronometer to control game time and a table to manage the game score. 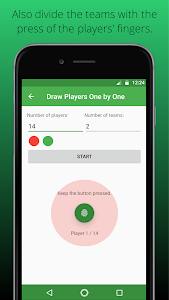 Divide teams by "Draw Players One by One" mode. 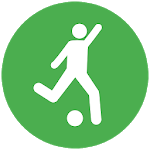 Enter the number of players and teams, after that, each player must press the button to know which team will belong. Keywords: Football, Generate Teams, Create Teams, Roll Teams, Soccer Teams Generator, Organize Teams, Luck Teams, Team Raffle, Random Team, Organizing Football Group, Organizing Football, Football Team, Tournament Manager, Football Scoreboard, Football Scoreboard, Football For Friends, Peladers, Football Pitcher, Goalie, Boleiro, Football Tournament, Football Game, Football Squad, Soccer Squad, Football Squad Builder. Similar to "Game Teams Generator"
Football Wallpapers 4K | Full HD Backgrounds ?